If you’re interested in supporting elderly Gurkha veterans and their communities, we’d be delighted to work with your Charitable Trust or Foundation. You can donate towards our general funds or, if you prefer, we may be able to offer a bespoke programme to meet your funding criteria. For any partnership, we’ll keep you updated as per any reporting requirements you might have. 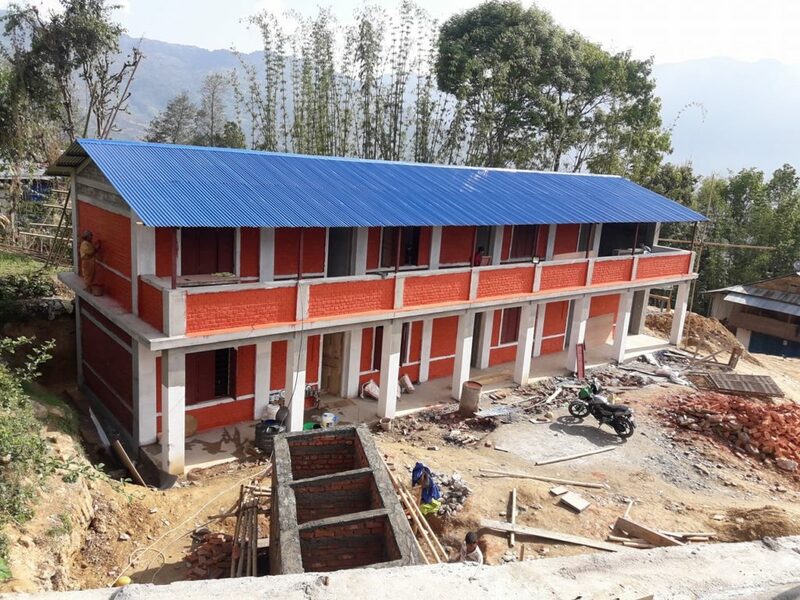 We’re grateful to DEFLOG VQ Trust for their generous funding of the rebuilding of three schools destroyed in the 2015 earthquakes in Nepal, including the Kallabari Secondary School in Dudhpokhari, a remote village in the Lamjung District. Following the earthquakes, the children were forced to continue their learning in temporary corrugated iron shelters, and were in desperate need of permanent classrooms. Thanks to the support of DEFLOG VQ Trust, the new school was completed in May 2017 and is now benefiting children from nine surrounding villages. We are also grateful to The Gurkha Welfare Trust Jersey for their tireless efforts in raising funds from Jersey islanders and grant makers on our behalf. Last year, the Jersey branch, together with the Bailiff of Jersey Disaster Relief Fund and the Jersey Overseas Aid Commission, funded two school and two community centre building projects. These were completed at the end of June 2018 and are already making a huge difference to the lives of hundreds of children and several communities.